Facebook: A Threat to Relationships? While there are many things we might desire in a relationship – such as healthy communication, empathy, mutual respect and understanding, encouragement and support – excessive Facebook use is probably not one of them. And in fact, for new couples, it can be predictive of conflict. 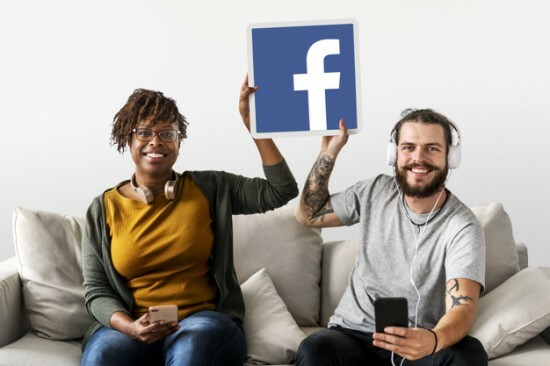 Surveying Facebook users ages 18 to 82 years old, researchers asked them to describe how often they used Facebook and how much, if any, conflict arose between their current or former partners as a result of Facebook use. The results were convincing. Facebook use among couples significantly predicted Facebook-related conflict, and significantly predicted negative relationship outcomes such as cheating, breakup, and divorce (Clayton et al., 2016). Clayton explains, “Previous research has shown that the more a person in a romantic relationship uses Facebook, the more likely they are to monitor their partner’s Facebook activity more stringently, which can lead to feelings of jealousy. Facebook-induced jealousy may lead to arguments concerning past partners. Also, our study found that excessive Facebook users are more likely to connect or reconnect with other Facebook users, including previous partners, which may lead to emotional and physical cheating” (Clayton, 2016, paragraph 4). And this trend was particularly apparent in newer relationships. “These findings held only for couples who had been in relationships of three years or less,” notes Clayton (Clayton, 2016, paragraph 5). On the other hand, for participants who have been in relationships for longer than three years Facebook use did not appear to be related to conflict or predictive or breakups or divorce (Clayton et al., 2016). “Facebook may be a threat to relationships that are not fully matured” (Clayton, 2016, paragraph 6). While Facebook is a wonderful way to connect, it might not be the best thing for our new relationships. A better option, notes Clayton, is that we learn about our partners by spending time engaged with one other, communicating, and enjoying activities together – all while curtailing our Facebook use. Finding Happiness: Positive Interventions in Therapy is a 4-hour online continuing education (CE) course that explores the concept of happiness, from common myths to the overriding factors that directly increase our feelings of contentment. Ethics and Social Media is a 2-hour online continuing education (CE) course that examines the use of Social Networking Services (SNS) on both our personal and professional lives. Is it useful or appropriate (or ethical or therapeutic) for a therapist and a client to share the kinds of information that are routinely posted on SNS like Facebook, Twitter, and others? How are psychotherapists to handle “Friending” requests from clients? What are the threats to confidentiality and therapeutic boundaries that are posed by the use of social media sites, texts, or tweets in therapist-client communication? You might be checking on what your friends are up to. You might be looking for a way to connect and communicate. Or you might just be looking for some entertainment. Despite the reasons we engage in social media, researchers at the University Of Pittsburgh School Of Medicine say our social media use is predisposing us to body image concerns and the risk of developing an eating disorder (Sidani et al., 2016). “We’ve long known that exposure to traditional forms of media, such as fashion magazines and television, is associated with the development of disordered eating and body image concerns, likely due to the positive portrayal of ‘thin’ models and celebrities,“ explains Jaime E. Sidani, PhD, MPH, assistant director of Pitt’s Center for Research on Media, Technology and Health. “Social media combines many of the visual aspects of traditional media with the opportunity for social media users to interact and propagate stereotypes that can lead to eating and body image concerns” (Sidani, 2016). Sampling 1,765 U.S. adults age 19 through 32 in 2014, Dr. Sidani and her colleagues used questionnaires to determine use of 11 of the most popular social media platforms: Facebook, YouTube, Twitter, Google Plus, Instagram, Snapchat, Reddit, Tumblr, Pinterest, Vine and LinkedIn. Then they cross-referenced those results with the results of another questionnaire that used established screening tools to assess eating disorder risk, including anorexia nervosa, bulimia nervosa, binge eating disorder and other clinical and mental health issues where people have a distorted body image and disordered eating. Their findings should have us all putting our phones down. The participants who spent the most time on social media throughout the day had 2.2 times the risk of reporting eating and body image concerns, compared to their peers who spent less time on social media. And participants who reported most frequently checking social media throughout the week had 2.6 times the risk, compared with those who checked least frequently (Sidani et al., 2016). While previous research has shown that people tend to post images online that present themselves in a more positive – rather than realistic – light, thereby exposing others to unrealistic expectations for their appearance, it is also possible, notes Brian A. Primack, MD, PhD, assistant vice chancellor for health and society in Pitt’s Schools of the Health Sciences, that people who have eating and body image concerns might then be turning to social media to connect with groups of people who also have these concerns” (Primack, 2016). The concern, however, is that despite Instagram banning the hashtags ‘thinspiration’ and ‘thinspo,’ YouTube videos about anorexia nervosa that could be classified as “pro-anorexia” received higher viewer ratings than informative videos highlighting the health consequences of the eating disorder. For Sidani, the answer is more research. Not just do we need to develop effective interventions to counter social media content that either intentionally or unintentionally increases the risk of eating disorders in users, she notes, we need to follow users over time to answer the cause-and-effect questions surrounding social media use and risk for eating and body image concerns. 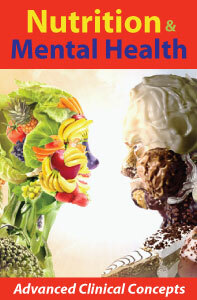 Nutrition and Mental Health: Advanced Clinical Concepts is a 1-hour online continuing education (CE/CEU) course that examines how what we eat influences how we feel, both physically and mentally. While the role of adequate nutrition in maintaining mental health has been established for some time, just how clinicians go about providing the right nutritional information to the patient at the right time – to not just ensure good mental health, but actually optimize mood – has not been so clear. With myriad diets, weight loss supplements and programs, clients often find themselves reaching for the next best nutritional solution, all the while, unsure how they will feel, or even what to eat to feel better. On the other side of the equation, clinicians so often face not just a client’s emotional, situational, and relational concerns, but concerns that are clearly mired in how the client feels physically, and what impact his/her nutritional health may have on these concerns. For example, research into the role of blood sugar levels has demonstrated a clear crossover with client impulse control. Additionally, the gut microbiome, and its role in serotonin production and regulation has consistently made clear that without good gut health, mitigating anxiety and depression becomes close to impossible. 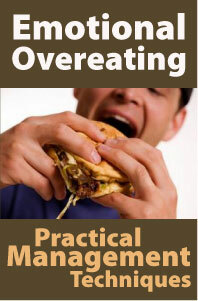 Emotional Overeating: Practical Management Techniques is a 4-hour online continuing education (CE) course that discusses the causes of emotional eating and provides cognitive and behavioral exercises that can help to eliminate the addictive pattern. 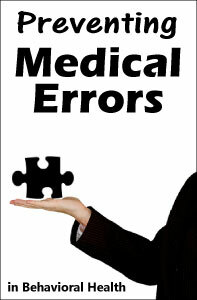 One of the mainstays of ethical practice and effective therapeutic practice is the maintenance of clinical boundaries. Clear boundaries are necessary in order for both therapist and client to understand the nature and purpose of their relationship with each other. 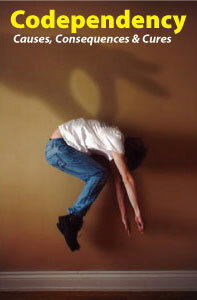 Boundaries in therapy distinguish psychotherapy from other types of relationships. Confusion about the therapist-client relationship can only interfere with the goals and process of psychotherapy. A client who comes to view the therapist as a friend, lover, or business associate – anything other than his or her source of professional help – is likely to have difficulty making use of the therapeutic alliance. In consideration of the implicit power imbalance that exists between therapist and client, the burden of responsibility for maintaining boundaries always falls upon the therapist. One of the many challenges to professional boundaries posed by participation in social networking is the fuzziness surrounding online relationships. There are actually at least two dynamics that need to be discussed here. The first is the blurring of the lines between personal and professional relationships, and the second is a phenomenon that seems to influence some individuals to self-disclose or act out more intensely online than they would in person. Complicating the picture further is a phenomenon that has been termed by Suler (2004) as the “online disinhibition effect.” This is essentially the observation that while online, some people self-disclose or act out more frequently or intensely than they would in person. People online tend to have a loosening of both behavioral inhibitions and boundaries. Self-disclosure in itself can be therapeutic, of course, but too much disclosure with loose boundaries can lead to toxic disinhibition and embarrassing content online. Researchers have found that three factors facilitate online disinhibition: anonymity, invisibility, and lack of eye contact (Lapidot-Lefler, 2015). Introducing further complexity into the equation is Borgmann’s (1984, 1992, 1999) early conceptualization of social hyperreality. He called it the device paradigm, described as “a technologically-driven tendency to conform our interactions with the world to a model of easy consumption… the way in which online social networks may subvert or displace organic social realities by allowing people to offer one another stylized versions of themselves for amorous or convivial entertainment.” I.e., the online version of a person may be very different than the person in real life. In this light, not only do therapists and their clients have to assimilate new and startling data about each other found in online media, they also have to discern whether it represents the real person or his/her digital avatar. The upthrust of all of this is that therapists must go to extraordinary lengths to assure that their therapeutic relationships do not devolve into something less than what is required for single-minded attention to the best interests of their clients. Even an established and carefully constructed therapy relationship can be unwittingly unraveled by a chance encounter on Facebook. Even when the therapist is mindful of professional boundaries and judicious in the use of self-disclosure, an indiscreet posting or picture on his or her social network page – when viewed by a client – can largely undo prior efforts. Teletherapy will be part of normal practice for psychologists in a decade, predicts leading online therapy educator Marlene Maheu, PhD. Psychologists must embrace the change or be left behind, warns Sherry Benton, PhD, ABPP, founder of the teletherapy company TAO Connect. “We in the behavioral world are the last holdouts for technological change in health care,” said Maheu, executive director and founder of the Telebehavioral Health Institute. “Technology is evolving, and I firmly believe we will be connecting with one another in many new ways in the future.” Maheu oversees telebehavioral health training at the institute and has been involved with teletherapy as a clinical psychologist herself since 1994. Benton, a psychologist and former director of a large university mental health clinic, became convinced a few years ago that adding teletherapy to psychology practices could help millions of people living in areas underserved by mental health specialists. After testing the concept with college students in 2014, she launched TAO Connect to provide teletherapy to college and university counseling centers. Both Maheu and Benton believe that psychologists who want to provide counseling via video conferencing, email or telephone need to educate themselves first about the practice. Maheu’s institute offers classes, as do the American Psychological Association and other organizations and companies. That includes having a license to practice in the state where the patient is, having a crisis management plan for online patients, knowing how to keep consultations with a patient private and knowing how to rewrite consent-to-treat forms for patients you may never see in person, she said. Equally important, Maheu said, is figuring out what population you want to serve online and identifying a way to get paid for your online work. If you work with at-risk youth and want to serve that community online, figure out what agency might pay you for the online work. Or if you want to work online with senior citizens in nursing homes, there are online employers who will hire you to do that, she said. Similarly, if you are in private practice and want to add online work, health insurance could be your payer, she said. “This is not about reinventing yourself, but doing what you’re already good at with technology,” Maheu said. 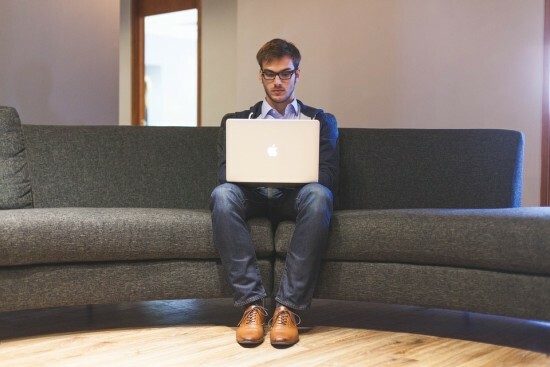 Numerous online therapy companies have popped up in recent years, including TalkSpace, BreakThrough, BetterHelp, and iCouch, and many enlist a variety of therapists, including psychologists, to work full or part time as outside contractors. Each company is different and any psychologist who wants to associate with one should investigate the firm carefully, Benton said. “You want to look at how they work, what your reimbursement rate is, what’s expected of you – basically what’s their deal and does it fit with the way you want to work,” she said. TalkSpace is one of the largest and mainly provides counseling sessions through texting. BreakThrough and BetterHelp both offer videoconferencing with therapists and BetterHelp also offers messaging, live messaging chats and telephone sessions with therapists. iCouch, while it offers therapist referrals, concentrates on providing services for therapists who want to practice online. Those include videoconferencing, therapy marketing, scheduling and billing services. Benton’s company is similar, offering private practitioners a suite of tools they can use for their own online services. They include HIPPA-compliant video conferencing, education modules for patients, administrative tools and secure messaging. Psychologists can offer patients shorter therapy sessions, such as 20 minutes, and augment that with patient education sessions from TAO, she said. “Even after a psychologist pays for TAO they really can increase their income,” she said. One of the newest entries into the market is LARKR, a video therapy app that launched in October through the Apple App Store. LARKR links therapists with patients for 50-minute sessions on mobile devices. The site, at larkr.com, is seeking 10,000 certified mental health therapists to join its ranks, according to its press information. Plenty of information is available online for psychologists who are considering trying online therapy. iCouch has several blogs that suggest ways to get started: (Add “online therapy available” to your business cards and website; ask current clients if they’d be interested in trying a session online; try online therapy several times so you become comfortable with the technology). The APA has a 19-page Guidelines for the Practice of Telepsychology on its website that encourages psychologists to get specific training and includes information about confidentiality, informed consent and interjurisdictional practice. This article is included in the online continuing education course Therapy Tidbits – March/April 2018. Click here to learn more. What would you be doing right now if social media did not exist? There are still some that have not succumbed to the dynamic world of relationship building, sharing, following, messaging, promoting etc. via social media. However, the vast majority (roughly 81 percent) of the U.S. population has at least one social media account, and Facebook alone has about 1.94 billion monthly active users worldwide. In fact, many people have come to prefer this method of interacting over traditional, in-person, face-to-face socializing. As a psychologist and social media user, I question the overwhelming fascination with social media. Some of us remember life before social media, though recollections may be murky at best. When I consider the basis for the seemingly instinctual drive toward social media, two words come to mind: “emotional tug.” Most humans establish connections on a visceral level; sure we are in contact with new people and places daily, but certainly not every single encounter moves us. 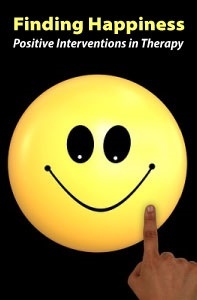 We appreciate things that make us feel: comedians make us laugh; music motivates us; haunted houses elicit fear. Social media is more like the roller coaster of emotions, possessing the ability to create laughter, love, inspiration, sadness and fear all in a matter of minutes. Have you ever experienced an abrupt change in mood for better or worse after scrolling through your feed? Have you ever dedicated way too much time arguing with someone over a parasocial relationship (a one-sided relationship that exists only on social media and generally with a celebrity)? If so, you are well aware of the social media effect. Not every social media user has the same agenda, but it is likely that every user is looking to connect, share and/or learn, all of which require some type of emotional involvement. The limbic system, often referred to as the emotional brain, is an area of our brain thought to house the amygdala, otherwise known as the center for emotions, behavior and motivation. Because of this, it is reasonable to believe that social media has the ability to activate the amygdala. Understanding the connection between emotion and events could significantly improve your social media experience. Specifically, social media has the ability to evoke happiness, sadness and excitement as well as anxiety, depression, envy, frustration etc. and essentially dictate our moods. If the only emotions you ever experience as you browse social media are inspiration, love and happiness, then you are probably an anomaly and able to teach a lesson or two in social media management and engagement. However, most social media users experience a more diverse set of emotions. You have probably heard someone say in reference to a social media connection, “I am so tired of blank.” It is far less common to hear, “I am so tired of hearing about his/her vacations and success because it makes me feel jealous and frustrated with my own life.” People generally do not share the deeper negative feelings that emerge due to either lack of insight or shame about the feeling itself. To clarify, if you experience not so desirable feelings while noticing someone else’s success on Facebook, this does not mean that you are someone who wants other people to fail; it just means that you are having a narcissistic moment that compels you to make another person’s post or journey all about you. The depression and anxiety that arise as a result of your unpleasant social media experience do not merely vanish after you exit, but linger, affecting you consciously or subconsciously. Depression and anxiety surface when we anticipate a threat to our wellbeing; persistent focus on what one perceives as negative stimuli feeds depression and anxiety. 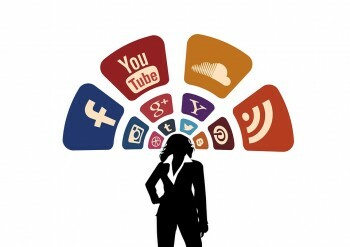 Is it possible to use social media and have a healthy state of mind? Yes, though balance is key. It is essential to manage and check yourself often. Practice metacognition (think about your thinking) to recognize irrational versus rational thoughts. All are vulnerable to subconscious influence and awareness takes practice. Replace your passive scrolling and engaging with focus and intent, understanding that connecting is optional. A diverse network generally comes with a diverse set of opinions, and if your tolerance is not yet up for the challenge, it may be best to connect only with like-minded individuals. 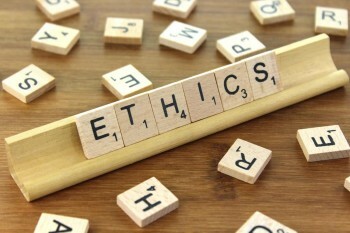 There is a good reason that ethics is a required component of our continuing education for license renewal. Ethics alone can be grounds for losing your license. It can also be grounds for a lawsuit. And more often than not, it is the source of client harm – even when it is not meant to be. A therapist who means well but doesn’t fully understand client privilege or confidentiality can harm a client just as much as therapist who simply ignores ethical protocol. Today, with the explosion of social media, it has become even more difficult to decipher the difference. For example, let’s say a therapist runs groups for a treatment facility and happens to post on Facebook about a particularly challenging group session, tagging her workplace in her post. While one could argue that she meant no harm, she has exposed the identity of the clients in the group because she identified the facility in which she works. This becomes even more important because today many therapists work in a variety of capacities – even virtually. Let’s say, for example, that a therapist becomes well known in a particular subject area and is now asked to give radio interviews about his subject matter. What is the ethical protocol here? Or, perhaps the same therapist is asked to create webinars on his area of expertise. Can he reference places that he has worked in the past? Can he mention clients he has worked with if he alters their names? What if he is asked to write a book on the subject? What ethical measures should he take then? Ethics, as you can see, is no less important to the seasoned therapist than the new one, and in many ways, it is actually more important. With more experience comes more opportunity and with more opportunity comes more risk. This is risk that can easily be avoided with a thorough understanding of ethics that are relevant to today’s therapist. Through learning about topics such as managing negative online reviews, taking on supervisees, being asked to write letters for clients who seek to have Emotional Service Animals, conducting group treatment, managing a social media profile, creating cloud storage for notes, purchasing liability insurance, correcting records, closing a practice, giving professional commentary on public figures, and doing media presentations, therapists can enjoy a wide variety of working capacities in a safe and ethical way. So where do therapists go to find this information? Professional Development Resources, an accredited provider of online continuing education courses, offers ethics courses for psychologists, counselors, social workers, marriage and family therapists (MFTs), occupational therapists (OTs), speech-language pathologists (SLPs), and registered dietitians (RDs). Click here to learn more. 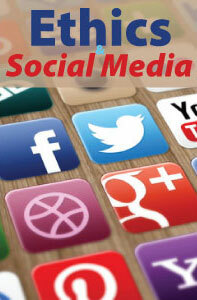 Chances are good that you know how to use social media for marketing, socializing, and networking. But come learn about the common pitfalls and mistakes that are common to well meaning psychotherapists. Make sure that you steer clear of potential ethical breaches and that your social media practices are consistent with ethical guidelines. 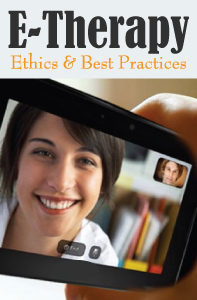 Describe the important ethical guidelines that are applicable to our online behavior. Distinguish between personal and professional behavior online. Describe the current research on therapist/client interactions on the internet. REGISTER NOW! You won’t want to miss it! 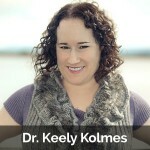 Keely Kolmes, PsyD, is a licensed psychologist in private practice in San Francisco, CA. Dr. Kolmes writes, does research, and provides consultation and training on clinical and ethical issues related to social networking and technology. Her Private Practice Social Media Policy has been internationally taught and adapted across health disciplines. She has published a New York Times Op-Ed on the challenge of consumer reviews of mental health services and developed Getting Better, a product to help clinicians track treatment outcomes and address client satisfaction on the Internet. She has been quoted in The Washington Post, Forbes, WIRED, BBC News, and HuffPostLive. Professional Development Resources, Inc. is a Florida nonprofit educational corporation 501(c)(3) that provides accredited online continuing education (CE/CEU) courses for licensed healthcare professionals. We are approved by the American Psychological Association (APA); the National Board of Certified Counselors (NBCC); the Association of Social Work Boards (ASWB); the American Occupational Therapy Association (AOTA); the American Speech-Language-Hearing Association (ASHA); the Commission on Dietetic Registration (CDR); the Alabama State Board of Occupational Therapy; the Florida Boards of Social Work, Mental Health Counseling and Marriage and Family Therapy, Psychology & School Psychology, Dietetics & Nutrition, Speech-Language Pathology and Audiology, and Occupational Therapy Practice; the Ohio Counselor, Social Worker & MFT Board and Board of Speech-Language Pathology and Audiology; the South Carolina Board of Professional Counselors & MFTs; and by the Texas Board of Examiners of Marriage & Family Therapists and State Board of Social Worker Examiners. 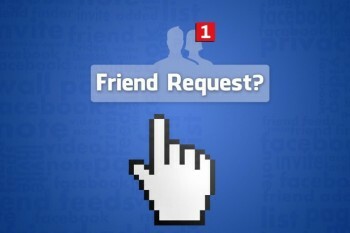 How Should Therapists Handle “Friending” Requests? A “friend” used to be an individual of one’s personal acquaintance, with whom a sense of liking, trust, and camaraderie had been built over some period of mutual experience and interaction. Many people considered themselves fortunate if – over the period of a lifetime – they were able to count a handful of others among those they considered to be friends. With the advent of Facebook, that concept has morphed into something that may or may not bear any resemblance to the original definition. In many cases, people who are friends on Facebook were personal real-life friends before joining up on Facebook. In other cases, new friends are made online, without the benefit (or bother) of any face-to-face interaction. In still other cases, individuals spend a great deal of time and effort collecting “friends” online for the sake of amassing a very large audience for their postings. In some cases, these numbers are quite extraordinary. According to a survey by the Pew Research Center (2014), the average number of friends a person has on Facebook was 338. A generational ranking revealed – not surprisingly – that number of Facebook friends was inversely correlated with one’s age. Millennials (age 18-29) averaged 300 friends (a quarter of these young users had more than 500 friends in their network), Gen Xers (age 30 – 49) 200, and Younger Boomers (age 50 -64) 75. People over the age of 65 average 30 friends. Laura Hahn, a counselor in private practice, suggests that therapists refrain from friending clients on Facebook. “Make it a policy by adding a statement to your informed consent documentation and inform your clients up front. Counselors who find clients being overly interested in the counselor’s personal life and conducting intrusive online searches can explore that topic with the client in therapy” (in Shallcross, 2011). It is useful – probably even necessary – for a therapist to spend some time pondering the friending issue before plunging into the world of digital friendship. On the Zur Institute website (http://www.zurinstitute.com/socialnetworking.html) there is a list of questions for therapists to consider as they face this decision. The purpose of this course is to offer you the opportunity to examine your practices in regard to the use of social networking services in your professional relationships and communications. Included are ethics topics such as privacy and confidentiality, boundaries and multiple relationships, competence, the phenomenon of friending, informed consent, and record keeping. A final section offers recommendations and resources for the ethical use of social networking and the development of a practice social media policy. Please note: if you have ordered this course in the past, this updated version is now available in your account. 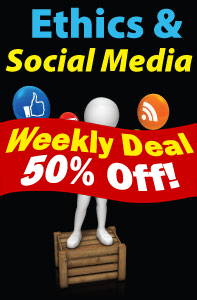 Professional Development Resources, an accredited non-profit provider of online continuing education for healthcare professionals, features up to 10 courses each week at 50% off regular price in their Weekly Deals.